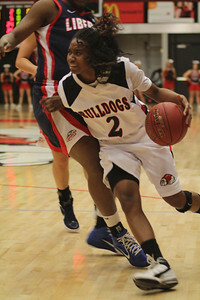 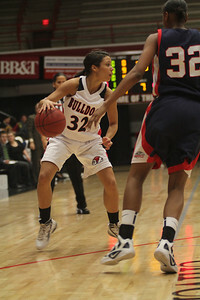 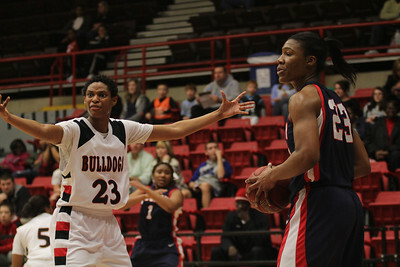 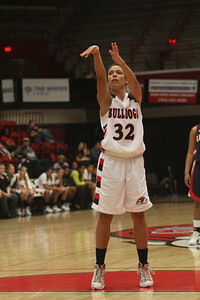 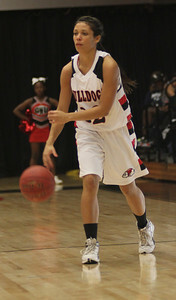 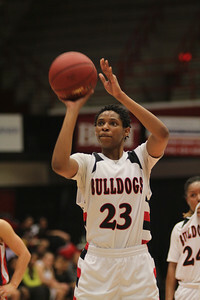 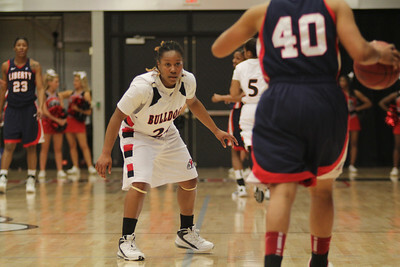 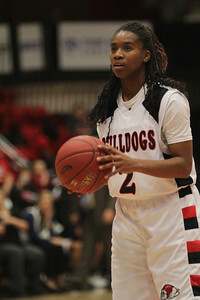 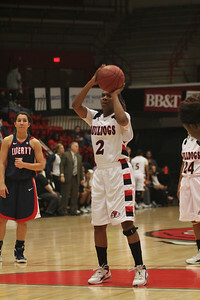 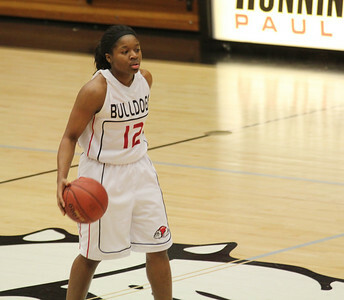 Dominique Hudson (12) brings the ball up the court for the Lady Dawgs. 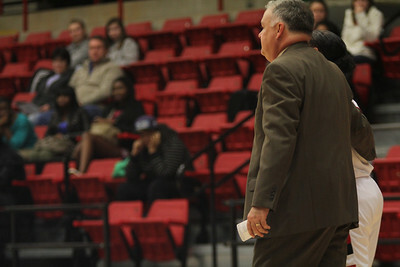 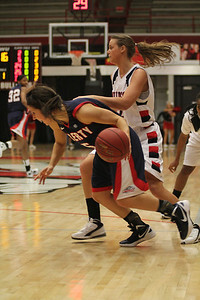 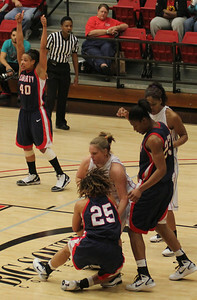 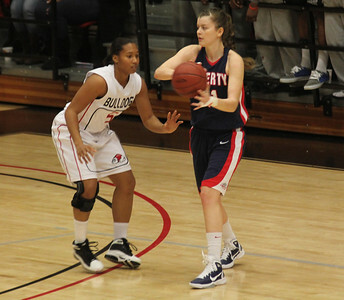 Brianna Dillard (5) defends against a Liberty player on Monday January 31st, 2011. 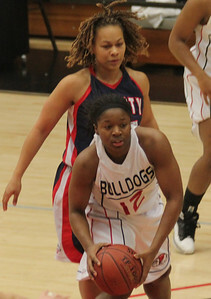 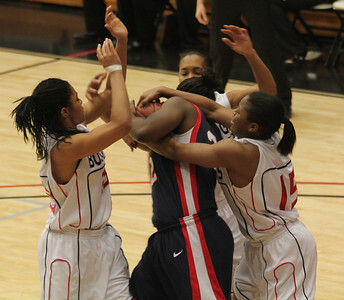 Dominique Hudson (12) gets a rebound in the Lady Dawgs match versus Liberty. 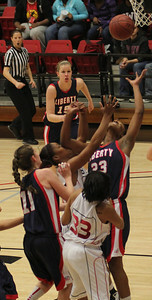 Jasmine Dale (33) and the Flames players go for a rebound in their matchup on January 31st. 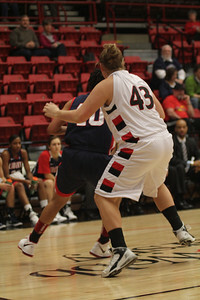 Breynna Winkler (43) gets a jump ball call after fighting for a rebound. 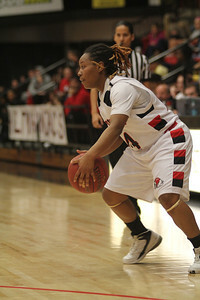 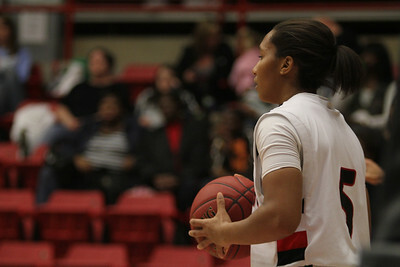 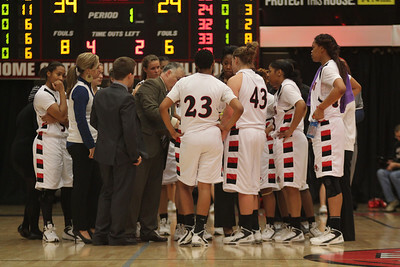 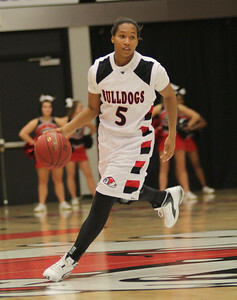 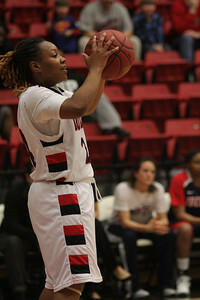 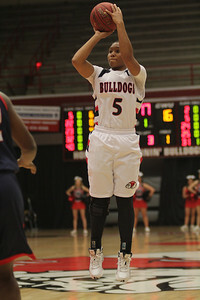 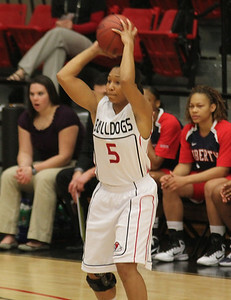 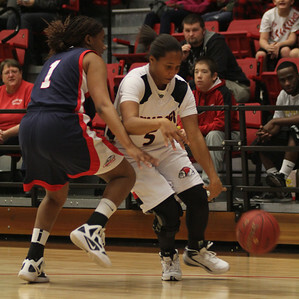 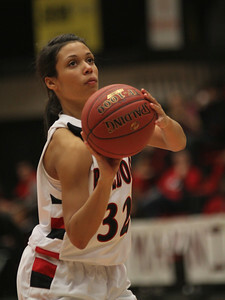 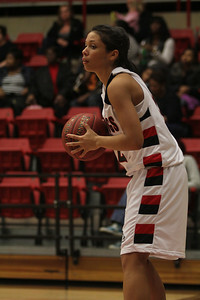 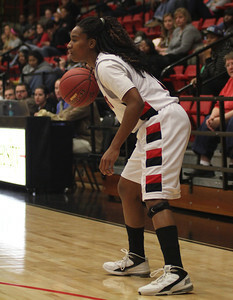 Brianna Dillard (5) looks to pass the basketball in the matchup versus Liberty on the 31st.